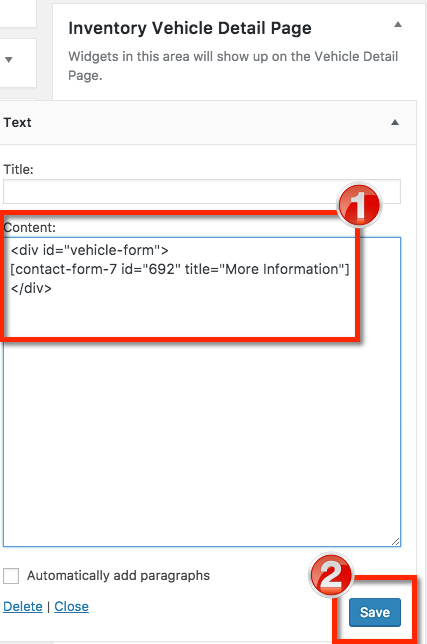 The CarDealerPress plugin has built-in integration hooks for Gravity Forms. 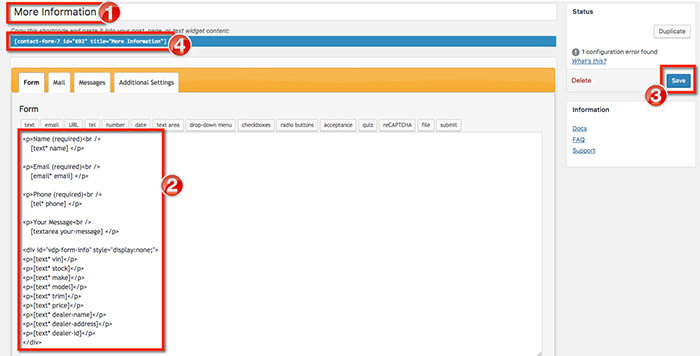 This doesn't mean that you can't use other form plugins, just that you will need to do a little more work. 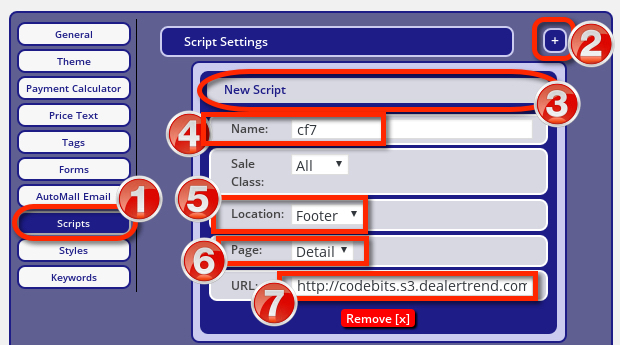 If using CF7, an additional plugin to also get is the Flamingo plugin (recommended, same author as CF7), or CF7 Database plugin, either plugin will allow you to have a record of form submissions on the site. Note: you can use different names for 'your-name' 'questions'(be sure to change them in the Message also) but if you change any of the vehicle attributes the JS will not work. Under the 'Mail' -> 'Message Body' section fill out how you want to receive the lead. You can set up the message however you want, these are just examples.